The Immaculata Shelter in Lockport is beginning its second year of operation. This unique shelter gives women a place to go after they have left prison or addiction treatment centers. At a family-style dinner a group of women share stories of their day and a simple home-cooked meal in the formal dining room of a beautifully restored five-bedroom, two-story home. This is Immaculata Home, a shelter for women which opened in August of last year on Lewis Street in the City of Lockport. These are women who have dealt with abuse, addiction and prison. Most would be homeless without this 11-bed shelter. “They have burned so many bridges that family don’t believe they are really sincere about getting help,” said Shelter Director Deborah Miller. Miller said the Catholic reentry shelter is the only shelter of this type in the area. It gives women a family-style spiritual community, she said. “Sometimes they feel like that aspect of their personality has not been addressed enough in their emotional healing and their healing from drug addiction,” said Miller. Each resident is linked with a caseworker and is welcome to stay for up to two years. Women have daily chapel, chores, counseling and job training – including a partnership with the NCCC Culinary Institute. Residence Assistant Yolanda Waples, known as Landa to her family, has gone through many of the same ordeals these women have faced – maybe more. Waples had faced since the age of 3 and continued to face abuse as a child. Thoughout her life she dealt with an alcoholic parent, fought her way through her own drug addiction and finally ended up in prison after robbing a cab driver at knife point. “I wanted drugs,” said Waples. That fateful night, looking for money for those drugs, she dressed in black and called a cab. “Not thinking that I was going to disguise my voice I said, ‘Take me to Price Chopper,’ and then all of a sudden I took the knife held it to his throat and said – her voice become deep and threatening - ‘Give me all your money!’” said Waples. Her crime landed her in prison, but it also brought her to the attention of one of the Albion Correctional Prison’s chaplains, Christine Kesterson, who became a mother figure to Landa in prison and after she got out. “I’m truly sorry for the people I hurt, but I couldn’t have come to that place until that healing came and I recognized I had done wrong,” said Waples. Waples said the turned to several religious organizations throughout her life, hoping for peace and healing, but ended back on drugs. Her mother died while she was in prison and Waples said it was Kesterson who she turned to for comfort. She said she now feels confident and strong and plans to share her story with other residents. 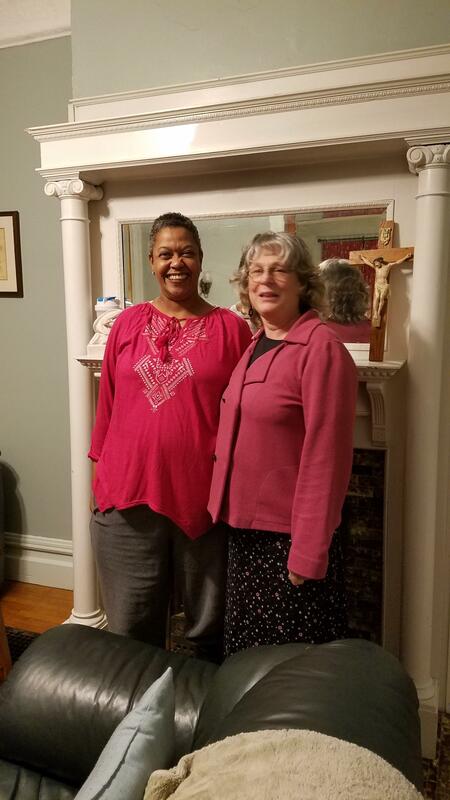 Kesterson and her husband Charles co-founded Immaculata to provide a place for women to develop themselves into a healthy person and also to fight the recidivism that often happens when someone leaves prison. Miller said Immaculata takes older women who are left with no where to go when they leave jail. “To be homeless is a horrible thing. The first thing we do here is have a welcome cake and balloons and we say welcome home,” said Miller. 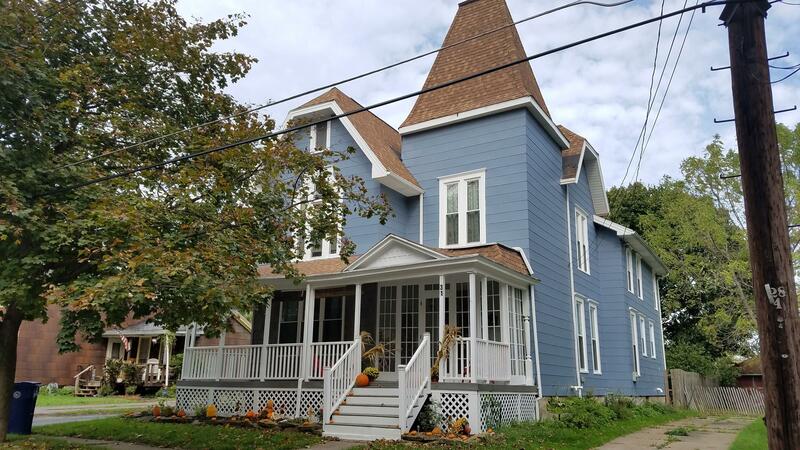 Miller says as the year is ending, they hope individuals and foundations will reach into their pocketbooks to help fund this home as a model of what can be done to make sure women have options beyond abusive relationships, drug abuse and prison. She said there are many shelters for women with children, but very few options for woman without dependent children. “I think we are doing an important community service. Society would abandon the older women,” said Miller. Women who come to live in Immaculata must agree to work on issue of co-dependency and develop healthy relationships by avoiding dating and working on healthy relationships. Not all residents come directly from jail or prison, nor is it a requirement of residence. It may be hard to believe, but it has been nearly 25 years since the murder of Nicole Simpson, a longtime victim of domestic violence by her husband, Buffalo Bills Hall of Fame running back O.J. Simpson. Now a new music video - with Western New York roots - has been produced as a call-to-action anthem, marking the anniversary. Going to college as single parent can be daunting task. With that in mind, Niagara County Community College is offering “Mapping Opportunities for Single Parents,” a program designed to guide moms down the path to graduation. Buffalo Philharmonic Orchestra Music Director JoAnn Falletta had an interesting experience. Falletta appears as one of six inspiring women for the Macy's fall ad campaign. WBFO's senior reporter Eileen Buckley talked to Falletta about how the advertisement is design to empower women. WBFO's senior reporter talked to BPO Music Director JoAnn Falletta about how a Macy's advertisement is design to empower women.